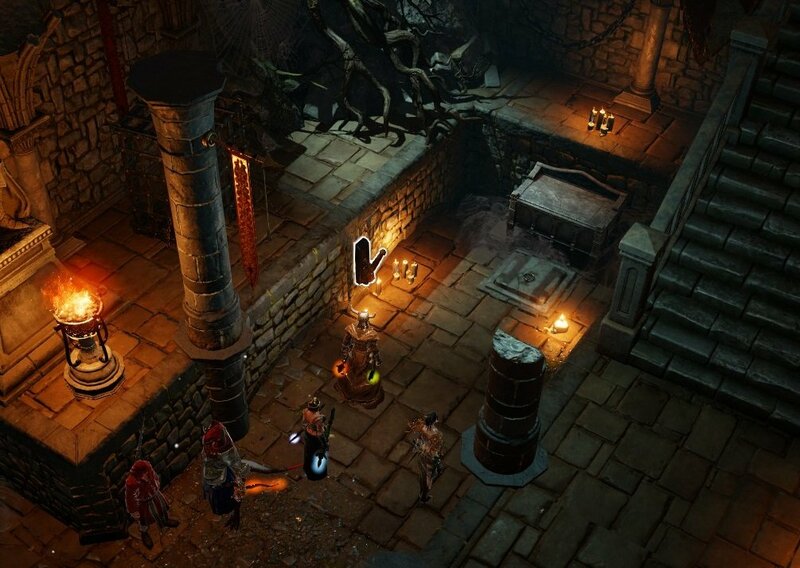 Withermoore's Soul Jar is a Quest in Divinity: Original Sin II. I agree to help Lord Withermoore destroy the Soul Jar, he told me of a lever located on the main floor of Fort Joy. Find and destroy the Soul Jar of Lord Withermoore. Meet him in Braccus Rex tower at the end of the Gargoyle Maze in order to clean the quest from your log. Play hide and seek with the little child called Mody. He can be found in the Caverns on the south of Fort Joy. After you've found Mody a second time, he will ask you to meet with his secret friend. You'll need shovel or a Lizard to uncover the the door near him. 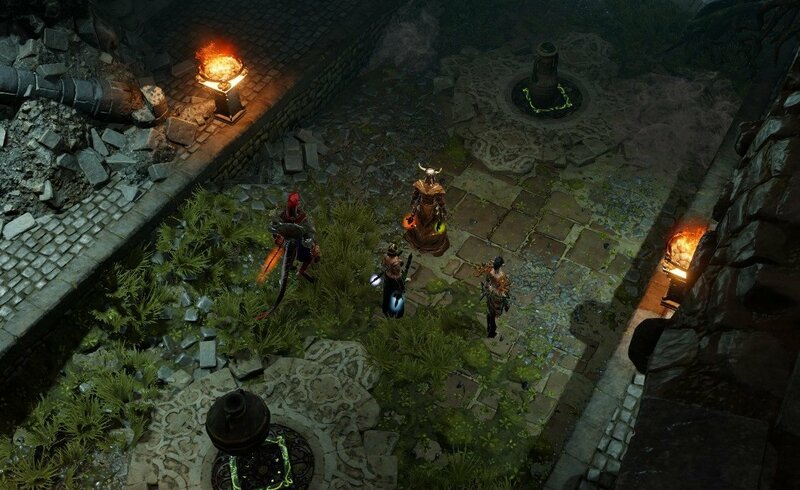 Speak with Lord Withermoore and remove the spear in his chest (reqs 12 Strength). After that, he will ask you to destroy the Soul Jar inside the Ancient Passage which is inside Fort Joy Prison. There's several ways to enter Fort Joy Prison: 1) You can use the hatch near the Statue of the Divines Shrine at Fort Joy Ghetto after pressing the button on the Shrine. Once inside you will have to defeat the Houndmaster in the Holding Cells to get the Prison Key which will allow you to enter the locked door by the stairs 2) Use the Gloves of Teleportation acquired from the quest The Teleporter to teleport one of your party members to the second level of Fort Joy south to the gate guarded by 4 magisters. Put the ladder down and sneak into the The Flenser's Playground. 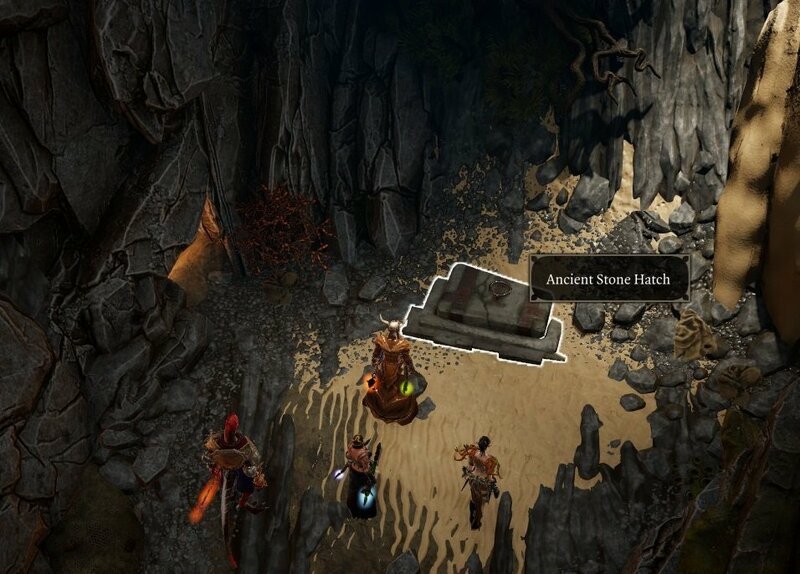 3) During the The Teleporter quest, in the Hidden Alcove, enter the cave on the beach that takes you to the Holding Cells where you will need to defeat the Houndmaster and get the Prison Key [The prison key is not on the Houndmasters body, but on the ground by a stool where the magisters were] 4) You can find the hatch near Migo on the beach after completing An Imprisoned Elf; use it to enter Underground Tunnel which will lead you to the Holding Cells. Inside Fort Joy Prison, there is a secret lever at on your left-hand side when you enter the main room (it will be marked on your map). Pulling it will open a hatch leading to an Ancient Passage filled with traps. You can put the nearby vases on the vents to disarm them. Following the passage will lead you to a room filled with different Withermoore Soul Jars. The one you're looking to break is Withermoore the Supplicant. This frees the soul of Withermoore and updates your quest log. The other jars will spawn enemies or traps. Cold-Hearted Soul Jar freezes the entire room's floor (and maybe some of your characters). Yellow-bellied spawns 4 skeleton guardians on the sides of the room. Sage spawns 3 skeleton guardians. Noxious is an explosion trap. If you freed Withermoore, he will help you lift a source barrier at Braccus Rex's Tower. (not the Dark Cavern) and grant you XP for finishing the quest. To trigger Withermoore's help with the source barrier and close the quest, you must interact with the source barrier with a character without source points. Withermoore's Girdle can be pickpocketed or found on Lord Withermoore's corpse. His corpse will disappear if he has helped to break down the source barrier in Braccus Rex’s Tower, visit his corpse first. Destroying the jar rewards 1400 party Experience. Refusing to destroy the jar and killing Lord Withermore rewards 200 Experience. You can also sneak past the 4 guards, lockpicking the door and getting into the prison. amm and also you can get one of the Armor set Braccus Rex . the greaves.. need 15 Wits to interact with the statue and this statue..
Withermoore&apos;s Soul Jar is with the one labeled Withermoore the Supplicant. You use the plaque, it starts the quest dialog. If you select the option to destroy the jar, you instantly get the 1,400 XP. The others are traps - fun fights for XP with skels. after i find the Withermoore&apos;s Soul Jar then i still can activate the others jars-traps. That shouldnt be allowed it should givining 0 xp i mean what is the point to avoid traps when they are giving you xp? If you don&apos;t have a shovel, there is one in that area, right past the barricades near the first few wrecked boats at about (490, 515). Unable to complete this quest. When I enter the ancient passage as soon as we pass the second jar covered trap and approach the stairs down to the statue area, toons/camera flies up thru the ceiling. X,Y on map shows toons are moving forward, but they appear to be walking above the ceiling. Broken. Not giving the 1400 experience after the most recent patch. If the Houndmaster did not have the Prison Key on him, try looking for it on the floor. Just press "ALT" and you should see it. We first tought we had a bug in this as well, since we completed the Whitermoor quest as well. Might have something to do with who started the quest. My friend re-entered the jail and went to the door before me and Whitermoor appeared finally o__o So try that I guess? Questjournal says "We destroyed Lord Withermoore&apos;s Soul Jar, freeing his soul". But he was not there to help me to lift barrier (what a *****), i did it myself with sourcemagic. I broke quest. . . Remove Spear from Withermoore, told him i would help him, then Killed Withermoore, went to pick up his soul jar and it was empty, put empty soul jar in inventory and quest chain still active telling me where to locate his soul jar. Everyone having problems with the jar, meanwhile I&apos;m over here unable to get this hidden lever to appear. What the hell? Upon trying it burned my neck due to the collar stuck on me. So I&apos;m wondering what will happen if I remove the collar and come back. So, this isn&apos;t where Withermoore&apos;s quest actually ends. Once you escape Fort Joy, you can go to Necromancer&apos;s Tower, which is a maze near an Ice Dragon. Once you get to the door at the end, and ONLY if you don&apos;t have any source points, Wihermoore comes out, opens the door, and you get some XP and a finished quest. Same as other posters, destroyed his jar and went back to find him, but he was just at his usual place, but dead. No help at all! Hope they fix this and the other quest bugs. This kind of bugs are all over the game. Quests are not polished. "We have left Reaper&apos;s Eye behind, without helping Lord Withermoore." "We destroyed Lord Withermoore&apos;s Soul Jar, freeing his soul." The jar with his soul in it for me was the Supplicant one. Might vary per game. If you can&apos;t remove the spear (Me and my friend couldn&apos;t, maybe strength related?) you can destroy it.